This is a terrific album! 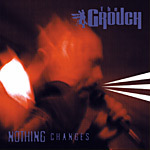 If you are a fan of the Grouch and buy his stuff but haven't gotten this one, it's just as good as the rest. Earlier and lo-fi, but still worth it to own everything this man has done. And if you do need a reason, 'Rap is Senseless' is a fan favorite! Produced by Grouch, Eligh, BFAP and Eclipse 427. Scratches by Eclipse 427.